It’s Time D-Heads! 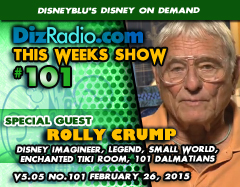 This week we mark a milestone in our show and in doing so welcome the Disney Imagineer, Legend and more ROLLY CRUMP (Imagineer, The Enchanted Tiki Room, Small World, 101 Dalmatians, Museum of the Weird) to the show! This Disney Legend stops in and talks about his career, attractions, animated films, Hijinks in the office, Walt Disney the man and so much more! 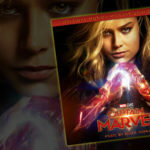 In addition the D-Team is back as Nathan takes that trip in This Week in Disney History, and Jason goes deep into The Vault with another Blu-Ray and DVD to add to your collection. And let’ not forget Paige looking into some Disney magic in The Magical Music Review. 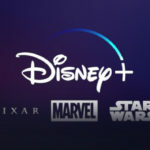 There is news hot off the D-Wire with information on new Toys, Games, Star Wars, Cruises, The Parks, Clothing, Mary Blair and more.